Grab FREE tickets to watch the movie preview of “La La La At Rock Bottom” on 30th March (Thursday) at GSC Mid Valley, 9pm. All you need to do is present a snapshot of this article to GSC Mid Valley Priority Lane Counter to redeem two free passes. Please note that readers can start to redeem the tickets on Friday, 24th March 2017, 10AM at GSC Mid Valley (Priority Lane Counter) until 30th March 2017 (while tickets last). ** Redemption is on a first-come, first-served basis with a maximum of two passes per person only. 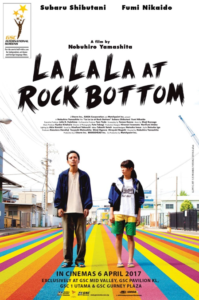 The GSC International Screens title – “La La La At Rock Bottom” will start screening on 6th April 2017 exclusively in 4 GSC locations, ie GSC Mid Valley, GSC Pavilion KL, GSC 1 Utama & GSC Gurney Plaza Penang. La La La At Rock Bottom showcase director Nobuhiro Yamashita’s exceptional talent who also produced films such as “Linda, Linda, Linda” and “Tamaki in Moratorium”. 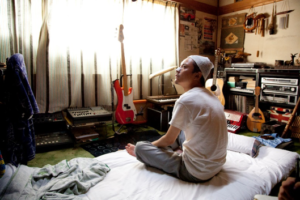 Shigeo (played by Subaru Shibutani) is beaten unconscious and wakes with no memory of his name, but with the desire to sing in this Japanese comedy-drama. 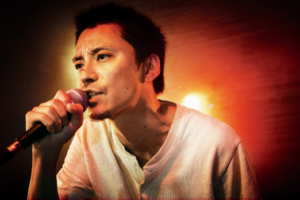 He meets Kasumi (played by Fumi Nikaido), the young manager of popular band Akainu, who nicknames the amnesiac “Pooch” and persuades him to join them as a vocalist. Eventually Shigeo’s memory begins to return, along with his violent past. The cast of this film is Subaru Shibutani, Fumi Nikaido, Suzuki Sarina and Kawahara Katsumi. 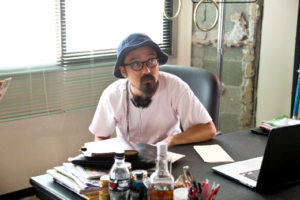 For more information on the movie “La La La At Rock Bottom”, kindly visit www.gsc.com.my. After he loses his memory, Kasumi takes care of Shigeo. When she discovers his singing skills, she makes him her band’s lead singer until his dark past clashes with his new life. ← Penang Yosakoi Parade 2017!